Athens (pronounced /ˈæθənz/; Greek: Αθήνα, Athina, IPA: [aˈθina]), the capital and largest city of Greece, dominates the Attica periphery: as one of the world's oldest cities, its recorded history spans at least 3,000 years. The Greek capital has a population of 745,514 (in 2001) within its administrative limits and a land area of 39 km2 (15 sq mi). The urban area of Athens extends beyond the administrative city limits with a population of 3.37 million (in 2005). The area of Athens prefecture spans 412 km2 (159 sq mi) and encompasses a population of 3,192,606. The Athens Larger Urban Zone (LUZ) is the 7th most populated LUZ in the European Union with a population of 4,013,368 (in 2004). A bustling and cosmopolitan metropolis, Athens is central to economic, financial, industrial, political and cultural life in Greece. It is rapidly becoming a leading business centre in the European Union. In 2008, Athens was ranked the world's 32nd-richest city in a UBS study. 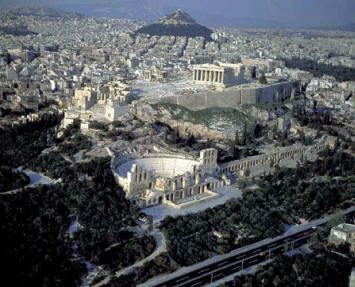 Classical Athens was a powerful city-state. A centre for the arts, learning and philosophy, home of Plato's Academy and Aristotle's Lyceum, Athens was also the birthplace of Socrates, Pericles, Sophocles and its many other prominent philosophers, writers and politicians of the ancient world. It is widely referred to as the cradle of Western civilization and the birthplace of democracy, largely due to the impact of its cultural and political achievements during the 5th and 4th centuries BC on the rest of the then known European continent. The heritage of the classical era is still evident in the city, represented by a number of ancient monuments and works of art, the most famous of all being the Parthenon on the Acropolis, widely considered a key landmark of early Western civilization. The city also retains a vast variety of Roman and Byzantine monuments, as well as a smaller number of remaining Ottoman monuments projecting the city's long history across the centuries. Landmarks of the modern era are also present, dating back to 1830 (the establishment of the independent Greek state), and taking in the Greek Parliament (19th century) and the Athens Trilogy (Library, University, and Academy). Athens was the host city of the first modern-day Olympic Games in 1896, and 108 years later it welcomed home the 2004 Summer Olympics, with great success. We offer special rates for private tours on early bookings. Best of Athens: This is an 8 hours tour allows you to visit the world famous Acropolis, the Archaeological Museum You’ll see the Temple of Athena Nike and the Erectheum, with its classical Porch of Maidens. 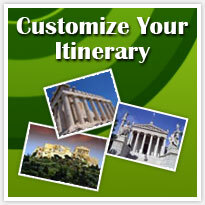 We will drive you to see the Parthenon, the highest point of Athens and the ivory statue of the warrior goddess. Note: These are the tours that we suggest, but you can customize your itinerary the way you and your Family feels more enjoyable and comfortable. We can accommodate from one person to a large group, we specialize in personal and Private tour in Greece and the Greek Islands. In most of the tours in Greece, height hills shoes are not acceptable. Booking manager for Greece private tours in Nikos Sirigos. 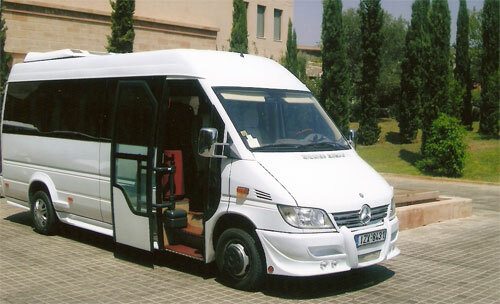 Greece private tours, Minibuses, Luxury car, Limos, guide drivers and licenses tour guides are available.